Dr O P Bhalla Foundation | Dr. O.P. Bhalla Foundation conducted a Bone Marrow Drive churning out a record 201 donors! Dr. O.P. 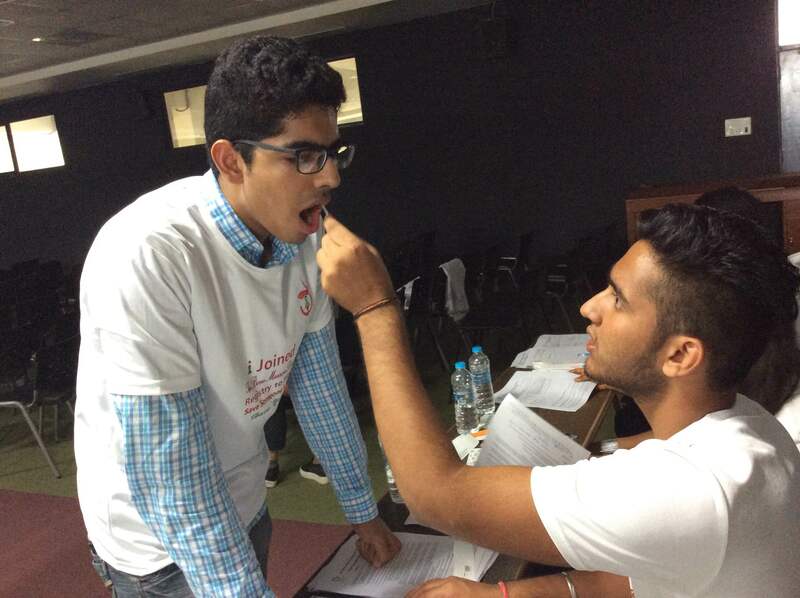 Bhalla Foundation conducted a Bone Marrow Drive churning out a record 201 donors! Riding high on the success of the earlier Bone Marrow Donor Registration Campaign, Jeevandayini Social Foundation under the aegis of Dr O.P. Bhalla Foundation and in technical collaboration with Datri, India’s largest Stem Cell Donor Registry, organised a Bone Marrow drive at MRIU campus here today. The Bone Marrow drive at Manav Rachna churned out a record 201 donors!The day long session witnessed an insightful presentation by Ms Gayathri Venugopal and Ms Dipti Kumbhar from Datri on the Peripheral Stem Cell Donation to combat Blood Disorders. 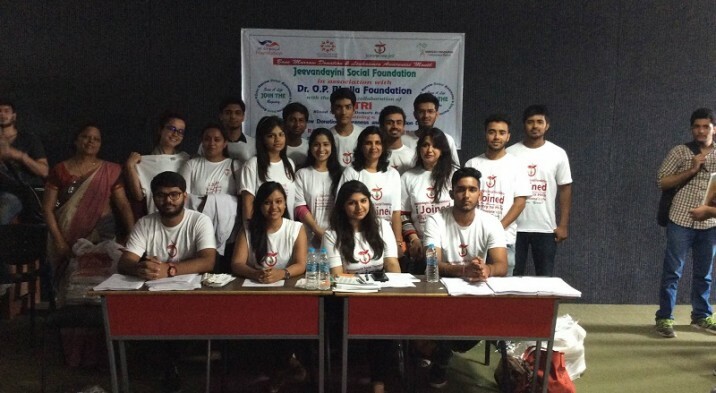 An unprecedented number of students from different academic streams attended the session while Jeevandayini was enabling the bone marrow donor registration process where a buccal swab sample was taken which will be further tested and recorded with Datri. Present on the occasion were faculty members from Manav Rachna including Professor I K Kilam and Ms Hanu Bhardwaj and team Jeevandayini headed by Ms Madhulika Jain among others. To commemorate Bone Marrow Donation and Leukaemia Awareness months spanning 15th August to 15th October, the drive is an effort to sensitize the youth on fatal and heavily damaging Blood Disorders including Leukaemia (Blood Cancer), Thalassaemia, Aplastic Anaemia and Sickle Cell Anaemia. For many years, Bone marrow donations required an invasive procedure under anesthesia, with a doctor extracting marrow from the donor’s hip bones. Now only 25 percent of donations are done that way. The other 75 percent are Peripheral Blood Stem Cell Transplant (PBSCT). The interactions with students at the Drive left an indelible impression on them as Jeevandayini resolved to continue its relentless efforts to conduct these campaigns Pan India.